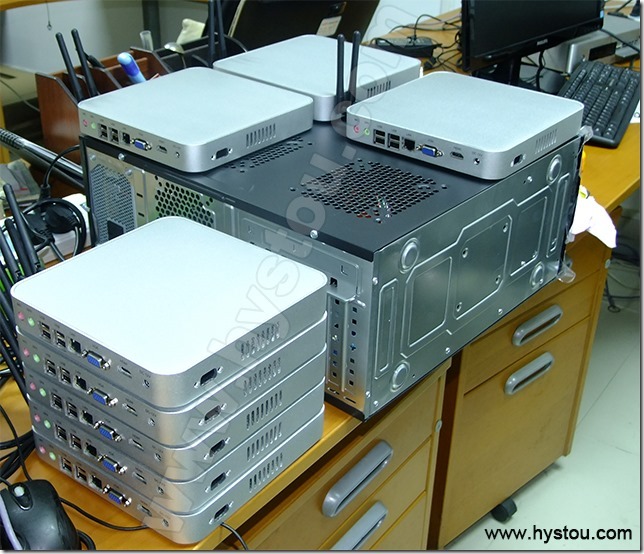 HYSTOU mini fanless computer C1037U is very powerfull mini desktop, it adopts ultralow power Intel Celeron Processor 1037U, barebone machine cost less than $150, but powerfully support 1080P resolution and 3D games. 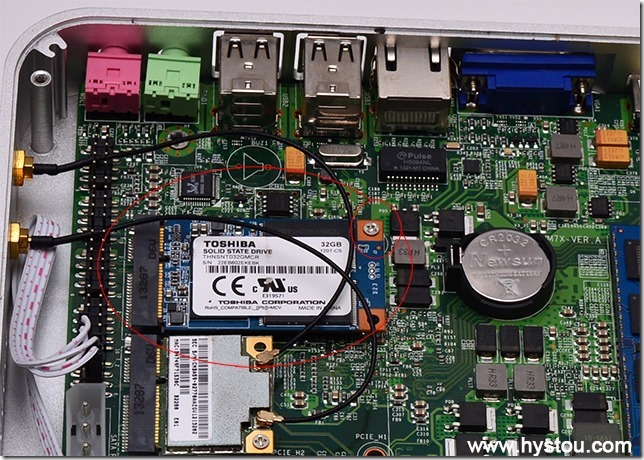 Memory support DDR3 up to 8G, harddisk support 2.5 inch SATA HDD and SSD, also mSATA SSD, any capacity is OK. 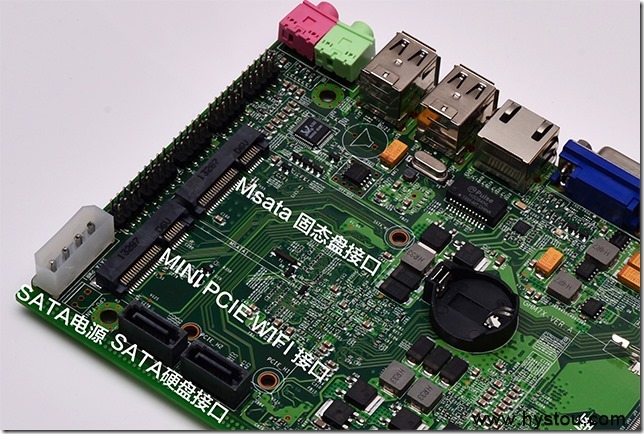 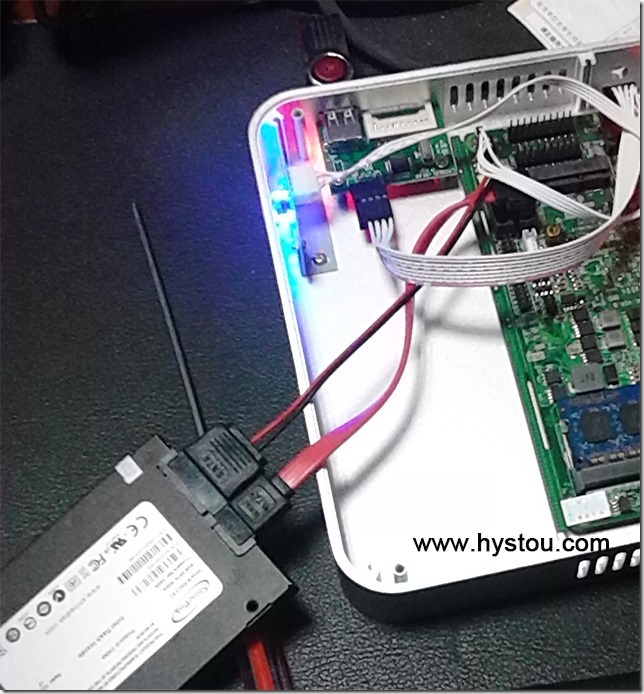 Most important, this small size computer support 1 SATA storage and 1 mSATA storage together, now let me show how to install. 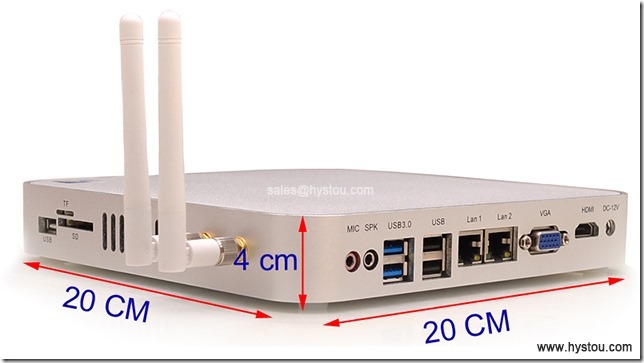 The C1037U mini pc is very small but very powerfull in performance, it’s best applicated to office, school lab room and multi-media classroom, estate and bank service terminal, shopping plaza, cybercafe, e-Conference Room and so on. 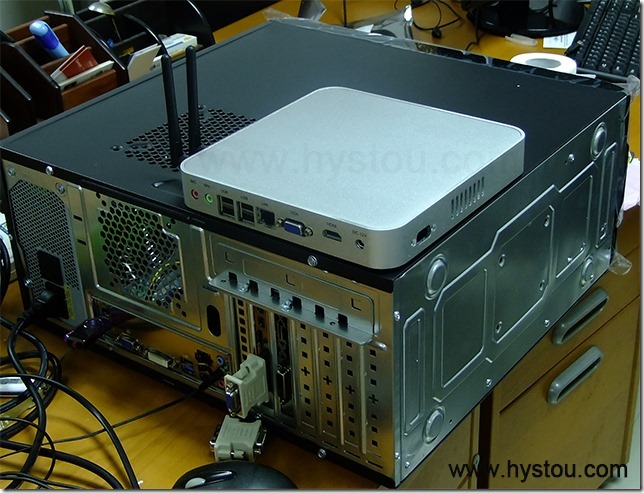 The silver color brushed aluminum alloy case makes it very high grade and strong. 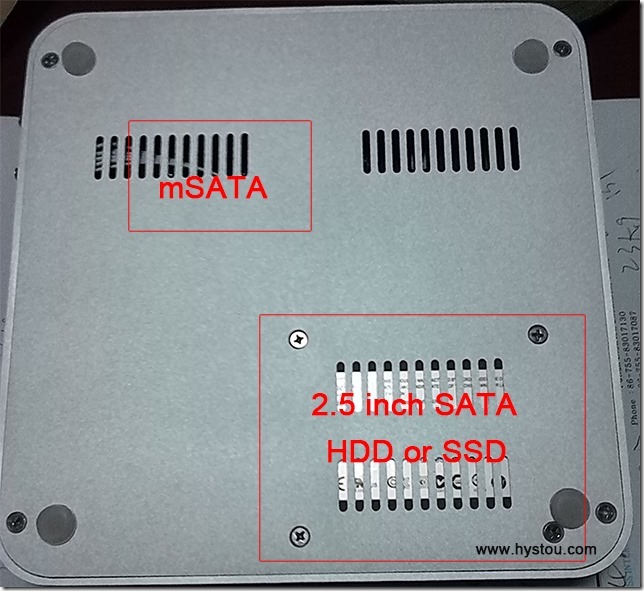 You can see its size compare to normal desktop computer.